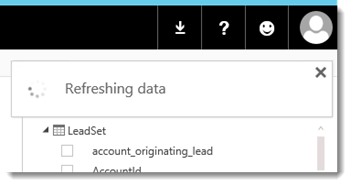 Within Power BI, you have the option of either setting up a Scheduled Data Refresh, or doing a Refresh Now. Refresh Now is considered on demand. When performing a refresh, you may encounter one of the following errors. Both of these messages do indicate that you should wait a few minutes before trying again. 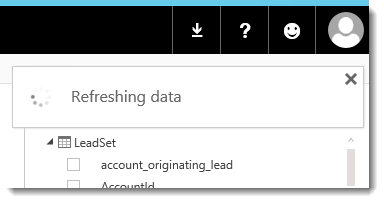 When you go to refresh a dataset, there may or may not be a visual indication that the refresh is occurring. You may or may not see a toast message similar to the following. If you go to refresh again, after you had begun a refresh, it could lead to one of the error messages above. If an error does occur, you will see an exclamation icon next to the dataset. Clicking on the ellipse will show additional information. If you encounter any other type of error, and aren’t sure what to do, you will need to give support a call. Be sure to supply all of the information that is in the error (Activity Id, Request Id, Status Code, Time, Version and Cluster URL). With that, we can dig in to see what happened.